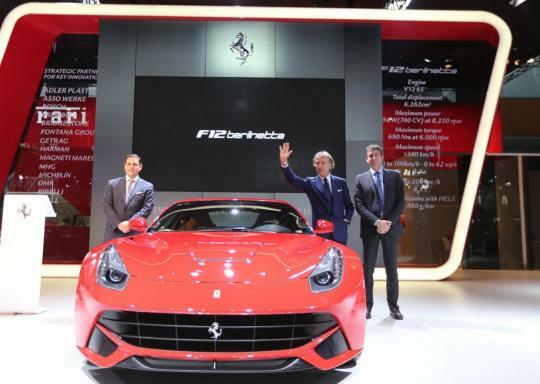 To celebrate Ferrari�s 20 years of existence in the Chinese market, the supercar maker hosted a list of events since early 2012. 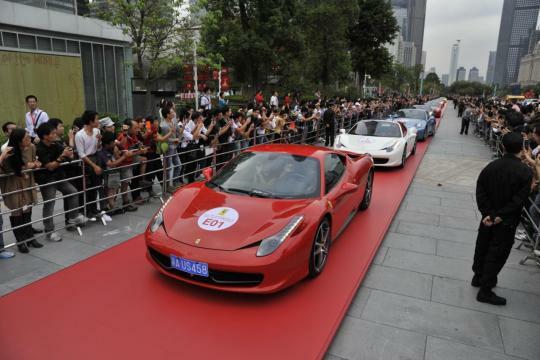 The celebration ended recently with a parade of Ferrari cars from a local showroom in Guangzhou to the Haixinsha stadium. The event was attended by some 250,000 Ferrari fans. Ferrari chariman, Luca di Montezemolo, flew in to join in the celebration. Well, I guess he has to be around to show his appreciation for the Chinese market, which is Ferrari�s second largest market, just falling behind the U.S.
Ferrari sold 500 cars in China in 2011 and sales is reaching more than 700 units in 2012 at the moment. 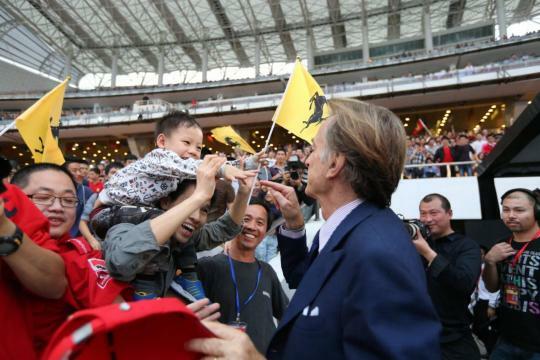 "It has been a marvellous day of celebrations", commented Luca di Montezemolo. "With many enthusiasts, a lot of young people and the city full of Ferrari flags. This has been the best demonstration yet of what the Prancing Horse represents in China � not just from a commercial point of view, but above all else for the Chinese people�s passion for Ferrari". Ferrari also took the opportunity to showcase the F12 Berlinetta, Ferrari�s most powerful road-legal vehicle to date. The celebration at Haixinsha stadium looks like national day celebration with flashing lights, cheerleaders and performance. 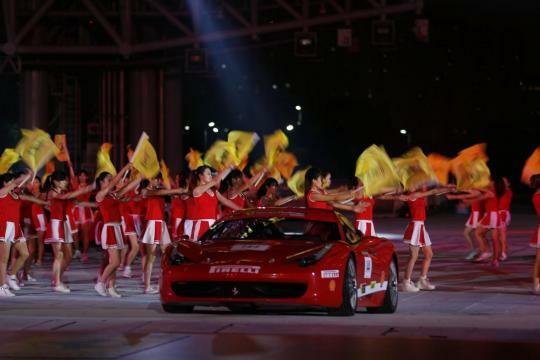 Ferrari must have planned a hefty budget for the event but it is all worth it as China is a major cash cow for the Italian brand.